In our new ‘Industry Changemakers’ blog series we pick the hottest topics and the experts that can tell us all about them. 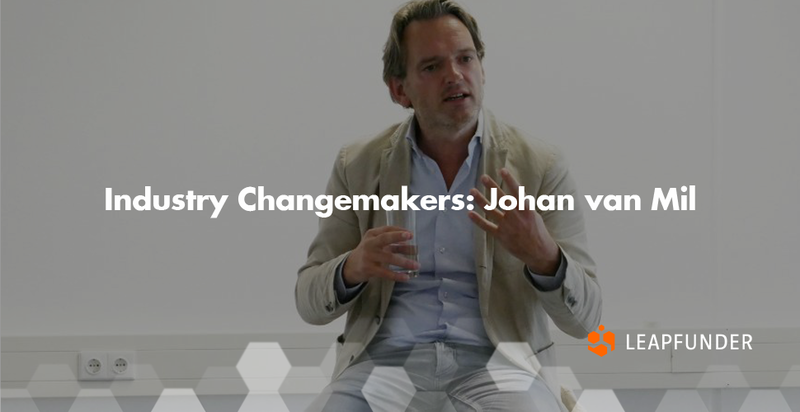 We talked to Johan van Mil, an active investor, entrepreneur and the co-founder of Peak Capital about the European VC scene. Find out more about the main VC hubs in Europe and the difference between the VC scene in Europe and US. 1. Hi Johan, thank you for agreeing to do the interview. You are a serial entrepreneur, investor and a mentor/teacher. Could you tell us a bit about your background? Hi! After the university, I started working with corporates, and I remember I always felt like I was thinking on behalf of the management of the companies where I was working, and not so much as an employee. So it felt great when I started my own company after a while. When you create something of your own the possibility to grow is way bigger. After a while, I realised that sharing my entrepreneurial experience could be of great value to other entrepreneurs. So, I wrote a book and started giving lectures to young students. When more and more people asked me to help them with their companies and asked for an investment, I realized that a team of experienced entrepreneurs might be a great way to help close this gap. I contacted five entrepreneurs who were also my friends, and we started Peak Capital, a venture capital firm. Now, 10 years later, I am running the fund full time, together with my colleague Stefan Bary. In total, we have done 15 investments to date, 6 of which were done in the last 2 years, showing that we are speeding up. We have done 4 exits so far, 3 of which were done to listed companies (Tripadvisor, Radionomy to Vivendi and recently CheapCargo to PostNL). Recently I also started Healthy.Capital, a new fund that invests in eHealth companies because I really believe the health & care market needs more innovation. 2. What is your philosophy and mission as a co-founder and managing partner at Peak Capital? We are entrepreneurial investors. As the firm was founded but is also funded by seasoned entrepreneurs, we bring more to the table than only capital. The real value we bring is our own experience, knowledge and network. When we invest, we help the founders with finding talent, accelerating growth but also with issues like previous investors or struggles in the team. Last but not least, we aid them in closing the next funding round and making a really great exit. We truly believe our active smart capital approach will bring a higher return for all of us at the end of the road. As a fund, we like to focus our efforts on the 2 sectors we really understand so we can provide the best value: SaaS and marketplaces. Within these sectors we only want to invest in the best teams: complete ones – with a hacker, hustler and preferably a hipster in the founding team, with a clear data-driven mentality and a 100% focus on execution. 3. Tell us about the VC scene in Europe: Which countries/cities are the main VC hubs? Who are the main VC investors? What are the differences between the VC scene in Europe and the US? I think Amsterdam is well on track to becoming one of the main European hubs thanks to the success of companies like Adyen, Bynder, Catawiki, etc. The changing mindsets of people who decided to have careers at startups instead of corporates, and the amount of capital available by angels and VC funds helps. Currently, the only issue we really have to tackle is the lack of talent. Berlin and London are a little bit ahead of us, but given the Dutch entrepreneurial mentality and background to rule the world, we are in a pretty good position to catch up with them. 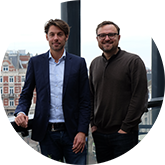 Every hub in Europe has a lot of investors, but given our own focus, we have good experience working in Germany with the guys of Point NIne and Project-A, and in the UK with Accel and Northzone. Besides this, we do have contact with all main European VC’s with a specific interest in network effects startups. Other than that, we also like to work with specific angel investors such as Arthur Kosten when we invest in marketplaces like United Wardrobe, and Kalo Bagijn when we invest in FinTech companies like InvoiceFinance. The main difference between the VC’s in the US and Europe is the size of the market and therefore, the funding. Here in Europe, we have big differences between the countries, whereas in the US a startup can serve 300 million consumers in one language, one currency and one legislation. The chances for success is far bigger in the US than in Europe, which is reflected by the valuations of the US companies. 4. Where is the Netherlands positioned in the European VC scene? Who are the most-important VC investors and what kind of companies are they looking to invest in? The Dutch investors have a strong position in Europe. Not only due to the earlier mentioned success, but also because we realise we need European investors to scale our companies. As the VC landscape is way less mature than in the US, there is still a lot of room to co-operate. That’s why Peak Capital is one of the founders of Founders+, where we invite successful startups to events in Amsterdam and to Lisbon’s Websummit. Discussing co-investment opportunities with our other Founders+ VC-colleagues, I have learned we all want the best team, a scalable product and a big market. The only difference is the focus we have on the sector and the phase. 5. What do you predict for the Dutch VC scene in the future? Will the Netherlands become one of the most important hubs in the European VC scene? I have great trust in the Dutch ecosystem. I do hope that angel investors, who have learned that not every startup will be a great success, will remain active and not turn their backs on startups. Furthermore, I believe we have all the predispositions to become the most important tech hub in Europe. We only have to realize it, be proud, and shout it out loud as we did during the VOC. Thanks for your insights, Johan. We wish you the best of luck in your future endeavours.